How to watch DreamWorks Spooky Stories: Volume 1 (2009) on Netflix Bangladesh! 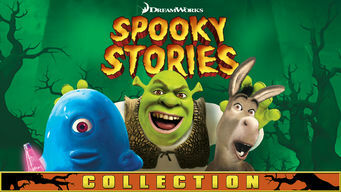 Yes, DreamWorks Spooky Stories: Volume 1 is now available on Bangladeshi Netflix. It arrived for online streaming on October 4, 2017. We'll keep checking Netflix Bangladesh for DreamWorks Spooky Stories: Volume 1, and this page will be updated with any changes. 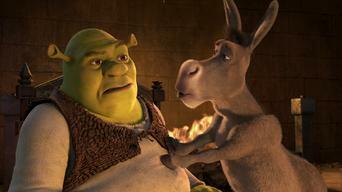 Shrek dares his friends to bring on the scary with ghost stories told in a haunted castle. Later, Ginormica and the Monsters face alien pumpkins. A haunted castle. Alien pumpkins. A spooky ghost. Everyone's favorite ogre brings on the scary. Volume 1 of DreamWorks Spooky Stories has 4 episodes. Because different Netflix countries have different availability for episodes, you'll need to check the episode listing below to see which are available in Bangladesh. In three Halloween tales, Shrek and his friends tell scary stories, Ginormica and the Monsters fight mutant alien pumpkins, and Shrek battles a ghost. 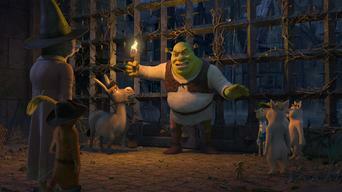 Shrek challenges Fiona, Donkey, Puss in Boots and the others to spend the night in Lord Farquaad's haunted castle telling scary stories. Join Donkey and Shrek as they rescue Fiona from the evil ghost of Lord Farquaad and embark on a bone-chilling adventure. When an alien presence is detected in Susan Murphy's hometown right before Halloween, she and the Monsters are dispatched to investigate.